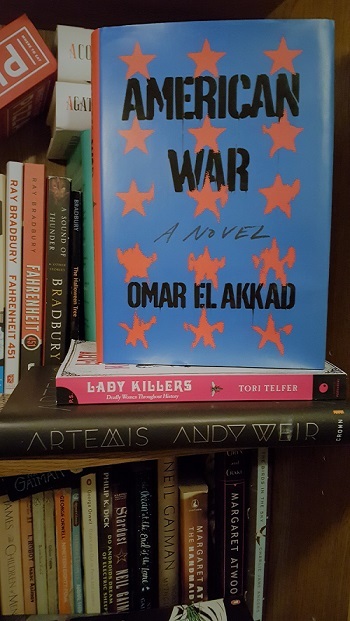 My friend and fellow book-clubber, Jenny, loved American War so much she wanted to keep talking about it even after our book club discussed it! This novel, which was recently short-listed for Canada Reads, is amazing. It’s the only book I’ve read in my book club that I’ve rated as 5-stars. It’s beautiful and heart-wrenching, and if you haven’t read it yet you should go pick up a copy right now. Don’t believe me? Then take a look at what Jenny had to say about it! 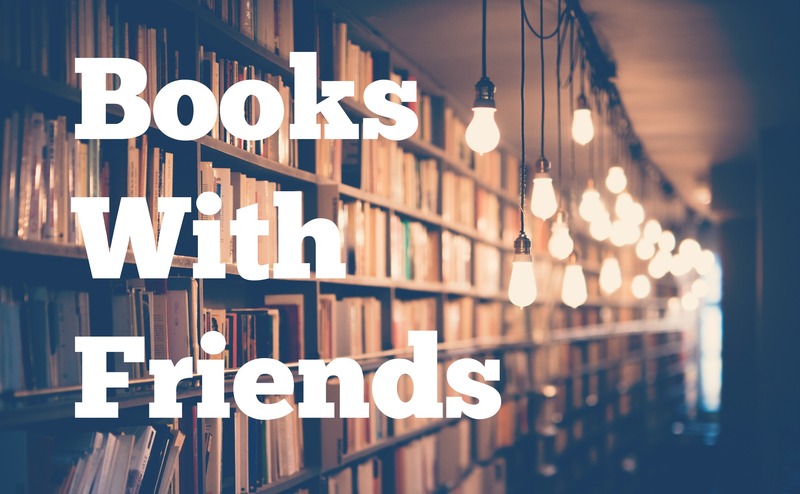 What was your first thought/impression of the book when it was revealed as our next book club pick? Initially, I thought that I was going to struggle through the book. But, I was intrigued by the plot of the story given everything happening [in our society today] and I was a little nervous about relating to the story. I have been anxious and scared about what is in store for our future after a number of political . . . scandals, we will say. Did the book live up to your initial expectations? Why or why not? When I read books set in the future I always think about whether or not the plot is something that could actually happen. Did this ever cross your mind while reading American War? Do you think a similar conflict to the one in the book could actually occur in the near future? ​Unfortunately, I do think it is possible. However, with that said I am also trying to remain hopeful that the evil in the world will not prevail. One thing I really enjoyed about this novel were the primary source documents — the news articles, government documents, etc. — that were placed between chapters. Do you think that they added anything to the story as a whole, or provided additional context to what was happening? Personally, it resonated with me a little in that it helped paint a better picture of everything that was happening while also making the story more realistic. ​I struggled with trying to decide if Sarat was a villain or hero. Given her situation, part of me understood her actions, but I also believe she could have been more diplomatic. What do you think? How would you define her character? ​I can relate to this. I tried to empathize with everything she had been through over the course of her life yet I still (morally) couldn’t justify her actions. Again, it made me take other situations into consideration. For example, suicide bombers, questioning how does someone get to that point, where they are ready to sacrifice their lives, in addition to many (mostly innocent) people in order to “voice” a concern. ​I am a firm believer in trying to put yourself in someone else’s shoes before you judge their actions. However, after finishing the book I lost a lot of respect for Sarat, and what she chose to do in her final days. I kept feeling like if she felt she could just talk about what she had been through, seen, heard, and done, and explain what her thought process was, perhaps she could have been persuaded to approach the situation differently, while still making a meaningful impact. ​My family and friends. I have already told my husband to read it or at least download the audiobook! I’m currently reading, and almost done, The Subtle Art of Not Giving a F*ck, by Mark Manson. After that, I’ll be reading Bellevue Square, by Michael Redhill, for our next book club meeting!